This is Part Three of a five-part series on our Tesla Model S. In Part One, I covered why we chose the Model S, the cost of the car, and a bit about Tesla the company. In Part Two, I listed some of the things I love about the car; today’s Part Three has more of the loves, as well as the not-so-loves. Part Four will discuss what it’s like living with an electric car, and my thoughts on the future of auto electrification. Finally, Part Five will provide an unexpected ending (of sorts) to the series. I’ll discuss this more in Part Four, when I talk about living with an electric car, but Tesla has built an extensive Supercharger network; it’s a series of high-speed charging stations, not just in the USA but around the world, that make long trips in a Tesla (any Tesla) very practical. 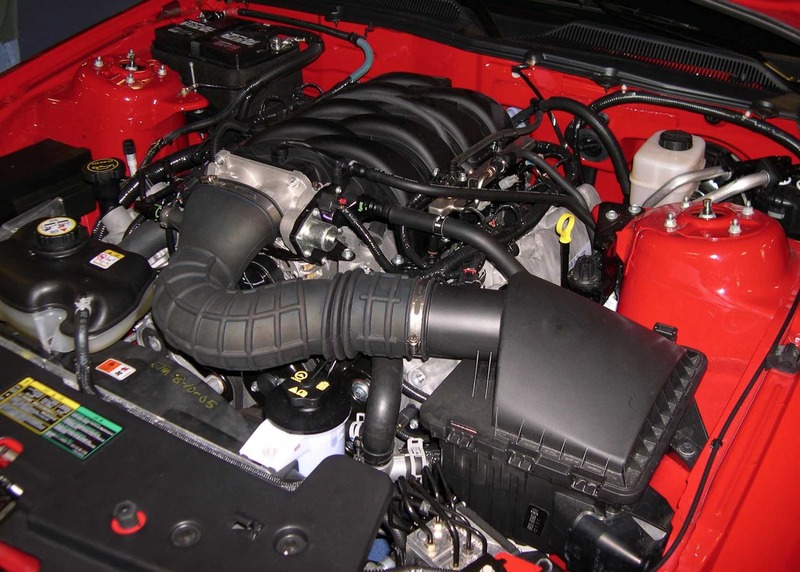 Superchargers are designed to start filling nearly-empty batteries very quickly; the rate then slows as the battery fills, so as to not damage the battery cells. In most cases, stopping for 20 to 30 minutes at a Supercharger will be long enough to easily reach the next charger (or that day’s destination). As of this writing, there were 1,441 Supercharger stations with a total of 12,888 individual chargers across the world—more are planned and coming online all the time (over 1,500 chargers have been added in the last six months or so). Coverage in the United States is extensive, as it is in Europe and Asia. 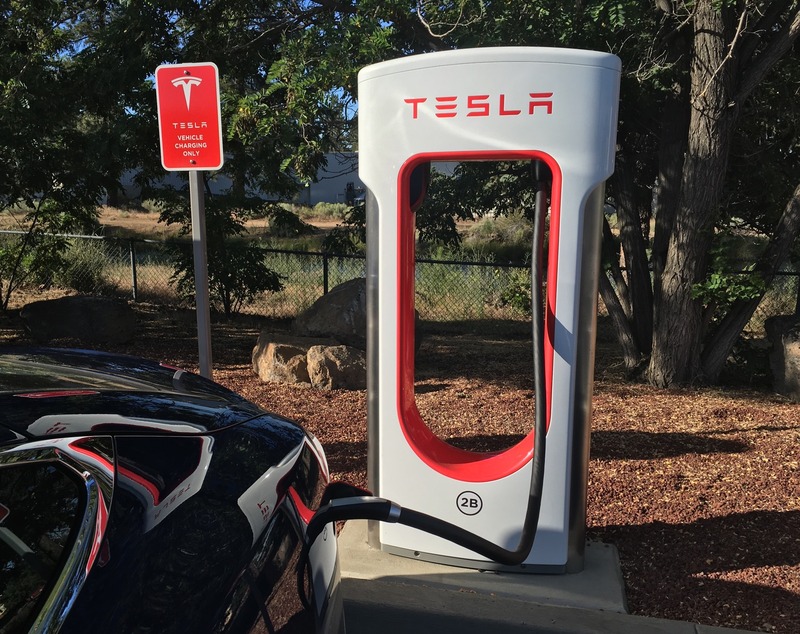 There are presently no Superchargers anywhere in Africa or South America, nor in India, Pakistan, or the other countries in that region of the world. 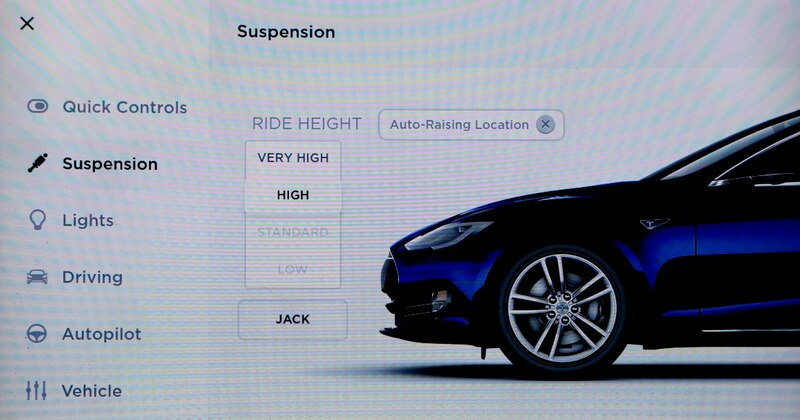 On the Supercharger web site, you can click on any station to get detailed information on that location. 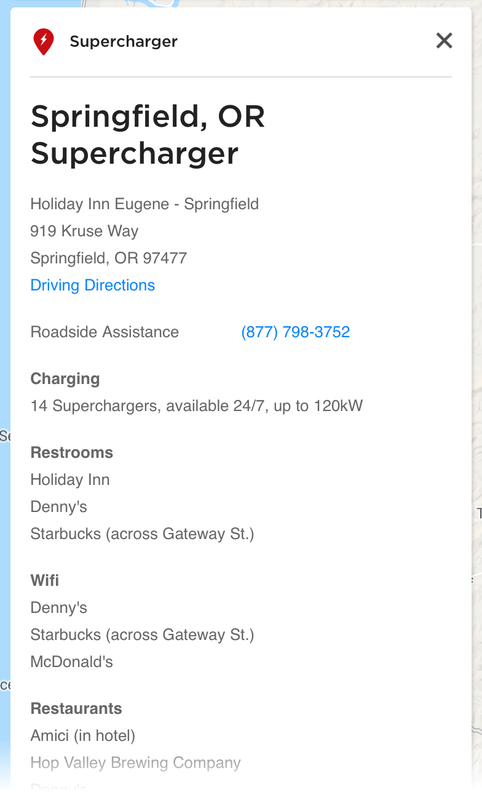 Shown at right is the info for the Supercharger in Springfield, Oregon, which I’ve used in the past. At a glance, you can see the number of charging stations, maximum power, hours, and nearby amenities. There’s also a link for driving directions, and the phone number for roadside assistance. This perk ended at the end of 2016, and new buyers now pay for Supercharging, though various promotions sometimes offer some free Supercharging as an incentive—right now, if you buy through a current Tesla owner’s referral code—here’s mine ;)—you get 1,000 miles worth of free Supercharging (and I get a chance to win Fabulous Prizes™!). I’ll have more to say about the Supercharger network in Part Four. 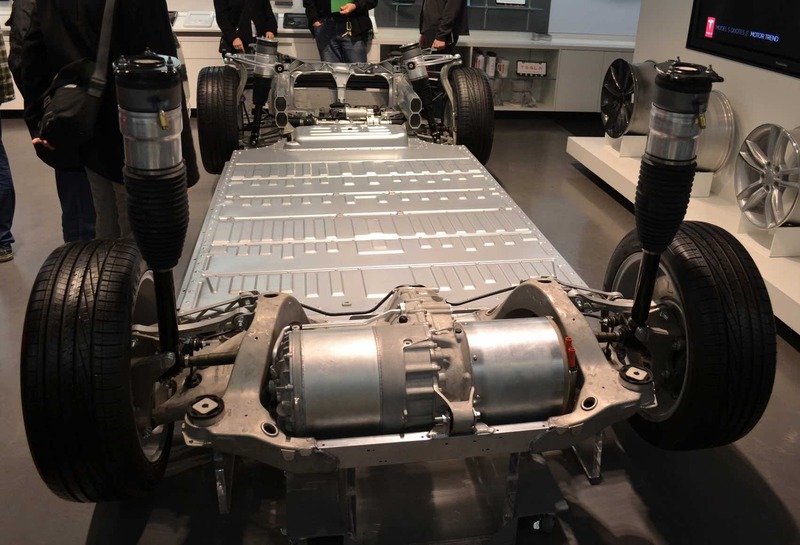 Non-electric cars are incredibly complex machines—particularly their engine compartments. There are pistons, piston rings, valves, camshafts, gaskets, spark plugs, timing belts or chains, alternator belts, radiators full of coolant, oil with pumps and filters, air filters, seemingly miles of tubing, possibly a turbocharger or supercharger, fuel injectors, throttle linkages, an automatic or manual transmission, and so much more. Most of these engine parts need to be maintained, serviced, and/or replaced at some point—don’t forget about regular oil changes, too—so visits to your local dealer are frequent, even if nothing’s apparently wrong with the car. And your local dealer makes money with their service bay, so it’s not an inexpensive proposition. Beyond regular service, any of these things could fail at some point, leaving you stranded and (depending on what broke) facing a high repair bill. Contrast that with the Tesla. My car has two tiny—they’re located between the wheels—completely sealed electric motors, only one gear, and none of the other stuff required for internal combustion. The most complex thing in a Tesla probably isn’t the motors, but rather the wiring and electronic brains behind most everything the car can do. So far, I haven’t had any electrical issues, but it will be years before we know for sure how reliable this side of the car really is. While I’ve talked about the customizable dash in the Model S, I haven’t yet talked about the rest of the car’s interface. Most everything else inside the car is controlled via the huge 17″ color LCD. 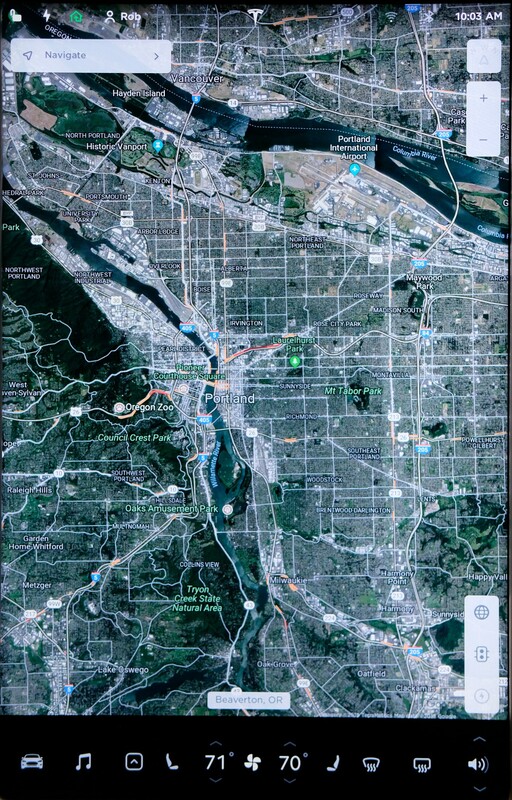 The screen’s default display shows the navigation map on the top, and the music player on the bottom, though this is customizable (to some extent). This is my preferred view, as I don’t use the nav map in normal driving. Sadly, this is still much worse than it was in the prior release of the Tesla OS (v8), where you could use any two apps you wanted, and have nav not even be visible. The first release of v9 wasn’t well received, because you couldn’t even add the secondary app above the music player; thankfully, a recent update brought back that capability—mostly; you can’t use the web browser as a secondary app, but you could before, nor can you move the music player to the top. Depending on the chosen app, it will either open above the music player, or replace the music player. Excluding the controls on the steering wheel and stalks, there are only two physical buttons in the car: One is for the emergency blinkers (apparently the government requires it to be a physical button), and the other is for the glove box—added just for symmetry with the required emergency blinker button. Everything else is controlled via the screen. 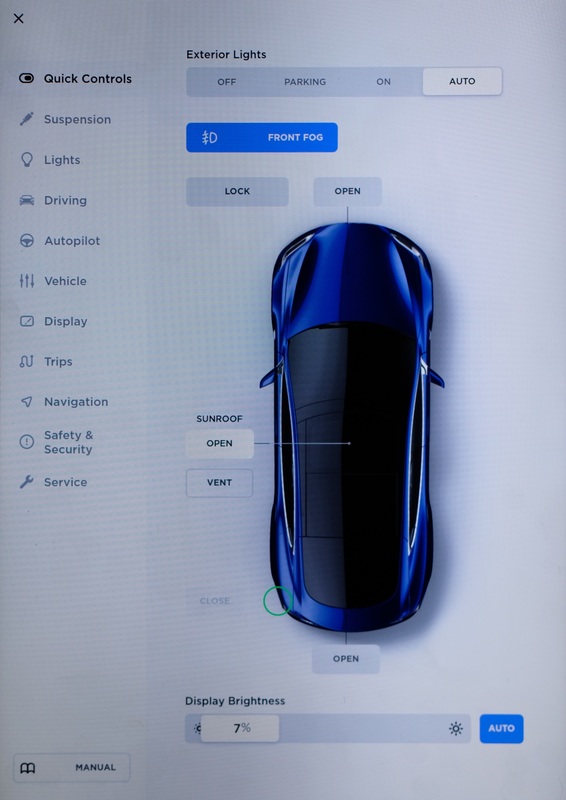 The advantage of this method is that the car is very upgradeable: With no features tied to physical buttons, software changes can add new features by adding new options to the screen. And it’s relatively easy to redesign the interface, too, which has been happening over time—the changes match what’s been happening with our cell phones, as the design has gotten lighter and less “in your face” over the two years I’ve owned car. I actually thought I’d hate having everything on a touchscreen, but I’ve found the system to generally be easy and quick to use. Much of the credit goes to the sheer size of the screen: With so much real estate, there’s no need to bury things five or six menu levels down. If I need to change something, it’s generally either on the screen already, or no more than three or four taps away (one to bring up the control panel, one to select the item I want to change, and then one or two to reach and change a particular setting). The control panel offers lots of customizability, which I really like—I’m not stuck with things the way the factory decided they had to be. 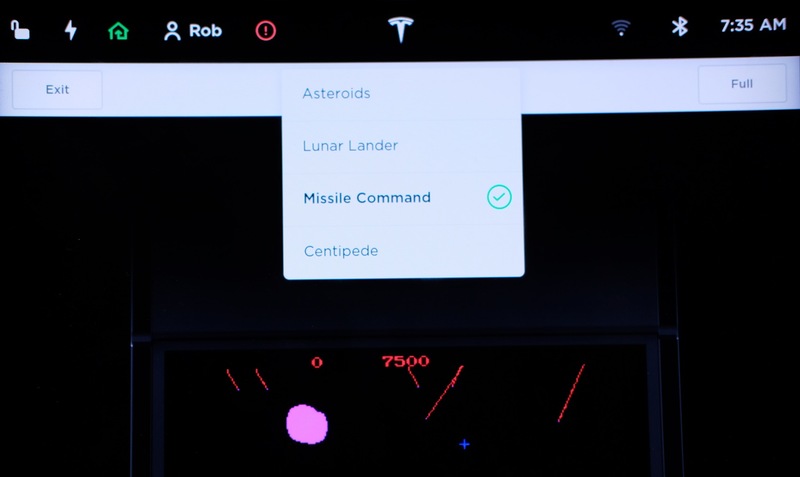 Within the Controls screen, there’s also a link to read the owner’s manual—while this is definitely handy (no more lost owner’s manuals), it lacks a search feature, which would make it truly useful. The other aspect of “user interface” in a car is how the car works with you to make driving easier, safer, or even more fun. Tesla’s UI has that covered in a number of ways. Forget to put the car in Park before you open the door? No problem; the car will shift into Park itself before the door opens. Come to a stop at a light, and the brakes are automatically locked on—you can take your foot off the brake pedal and the car won’t go anywhere. If you share your car with your significant other, the Model S will recognize the key fob they use, and change seat position and screen displays to match their stored preferences. Engage Autopilot four times to hear the cowbell sound from the Saturday Night Live skit, and to change the road display in the dash to the rainbow road from Mario Kart. Engage a drawing mode on the display, and send your completed masterpiece to Tesla. Play some Atari games…yes, really. But only while the car is in Park. I appreciate that Tesla has a sense of humor, and isn’t afraid to do fun things in their cars—every other car seems so serious all the time, this touch of lightness is greatly appreciated. 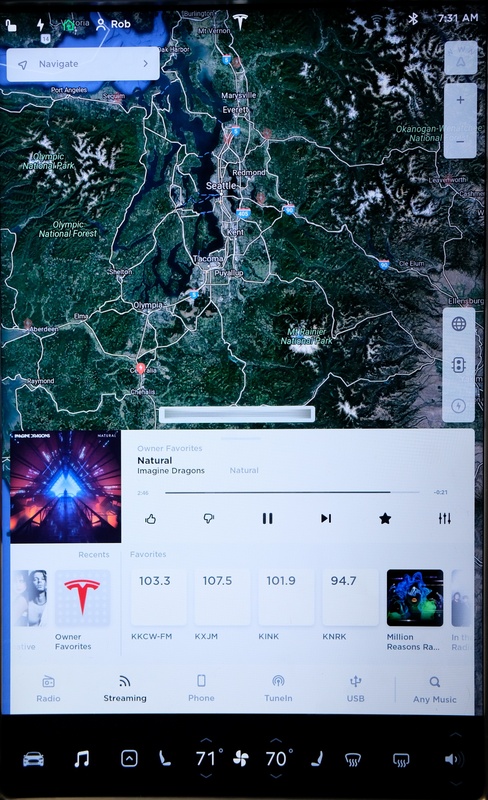 Tesla’s navigation system uses Google Maps, and includes real-time traffic, traffic-aware routing, and it can be voice controlled. Unlike other cars I’ve used that have voice-activated navigation, Tesla’s works incredibly well. Hold down a button on the steering wheel, then say “Navigate to Target” or “Navigate home,” and it just works. Very impressive. But where the navigation system really comes into its own is on a longer trip that will require charging. 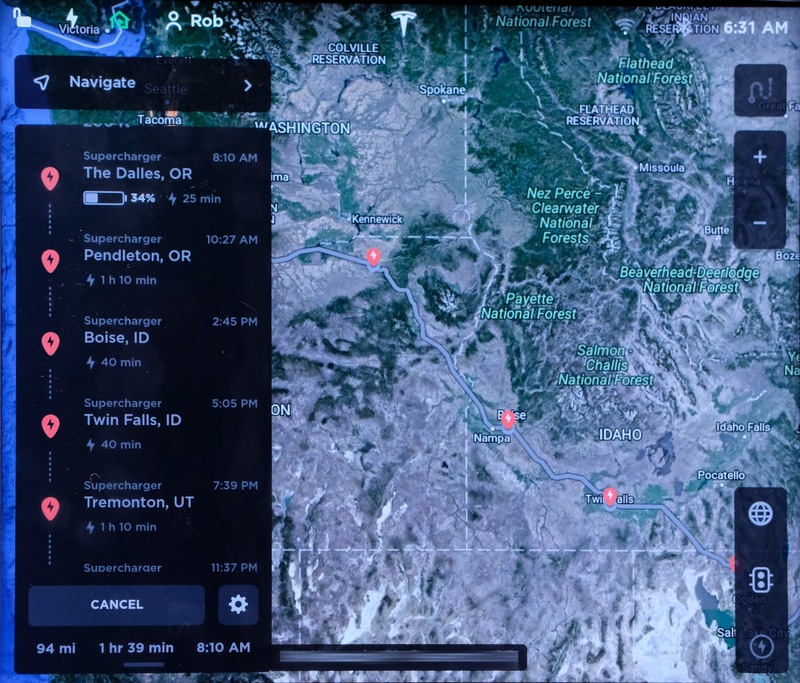 When you enter a far-away destination, the nav system will not only tell you how to get there, but which Superchargers to use and how long to stop at each one. These estimates are reasonably accurate, though actual charging time will vary based on how you drive, how much elevation change is involved, etc. But still, having the nav system tell you where to stop and for how long relieves much of the range anxiety you may feel when planning a long trip. 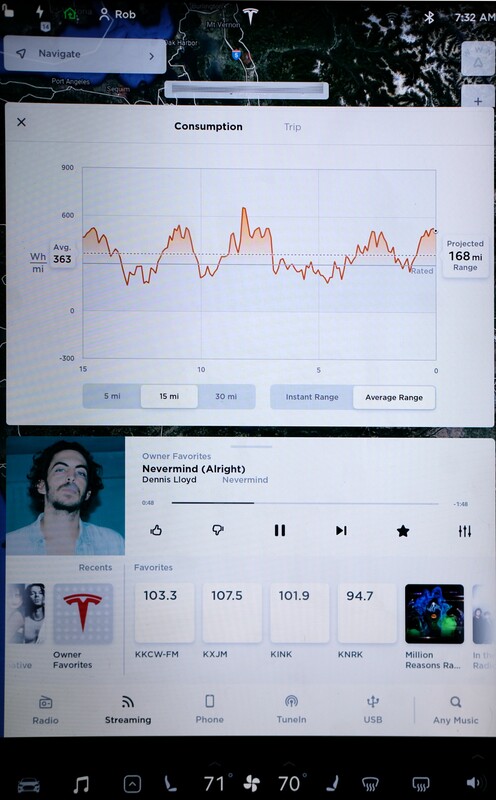 The Tesla iOS app is a wonderful addition to the car. 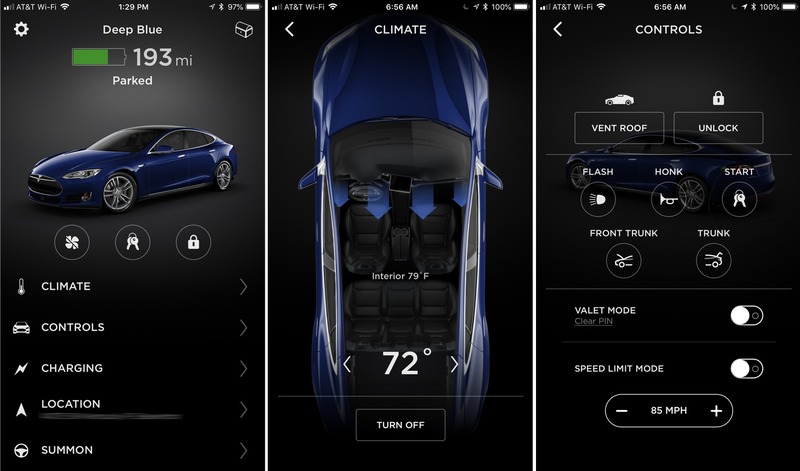 Using the app, I can see the car’s remaining charge, heat or cool the interior to my preferred temperature, see where the car is parked, lock or unlock the doors, vent the sunroof, flash the lights, honk the horn, open the frunk (front trunk) and trunk, enable valet mode, and more—you can even enable keyless driving, if you wish. The air suspension in my car (optional when we bought it, now standard in all cars) is not only impressive for its general handling, but also because it’s tied into the GPS system. If you have a steep driveway, or a big speed bump, or some other thing that requires raising the suspension, you’ll only have to do so once. Rumor has it that Tesla may be working on making their app usable by passengers, who would then be able to control their own seat heat without asking the driver for help. That would make me much happier. You’d think with the acres of glass on the car that it’d be easy to see out. But that’s not the case. The pillars are thick, and the rear hatch is at such a shallow angle that there’s not much room to see out (and the rear seat headrests intrude on what space there is). Thankfully the back up camera is really good, and the mirrors are large enough to provide a good view. Just remember to check those blind spots! The sloping roofline means that headroom is limited, especially for backseat passengers. Even more so in my case, because my car has the full-glass roof, which can get warm in the sun despite the sun-blocking nature of that glass. To help with that, I installed some fabric sunshades that work well, but cut down on headroom even more. If my Model S is involved in an accident, it may take a long time to get it fixed. 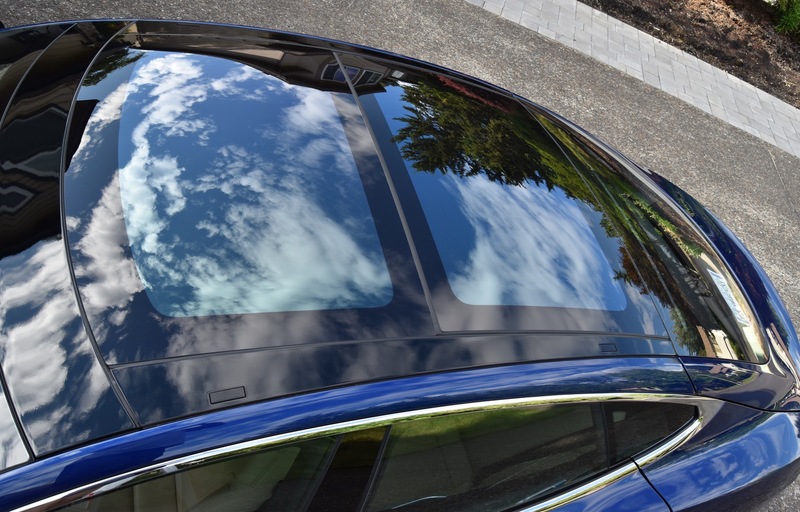 There are a limited number of approved body shops (just one in the Portland area) that can work with aluminum (which is what the Model S is made with). Couple that with a limited supply of spare parts (as Tesla is still running full-speed trying to make entire cars), and getting body work done good be a very time consuming process. Hopefully I won’t ever have to find out how time consuming. The minimal number of physical controls in the cabin means that some of the interface can be somewhat hidden, and some buttons are multi-purpose. Want a single wipe of the windshield with the wipers? Press the button at the end of the wiper stalk, but don’t hold it in. If you hold it in, it will wash the windshield. 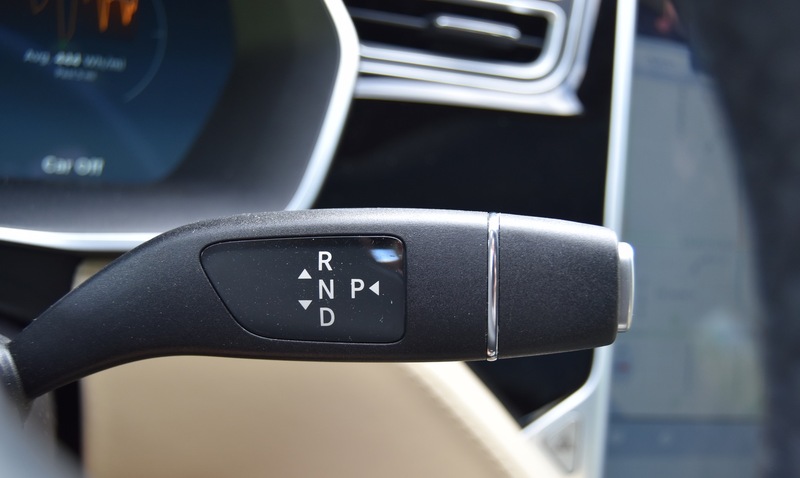 To shift into Park, press the button at the end of the transmission selection lever. Press it twice, though, and you unlock all the doors. When using the steering wheel scroll/buttons, a quick press of the button will activate a selected feature, while a long press will bring up the customization menu. 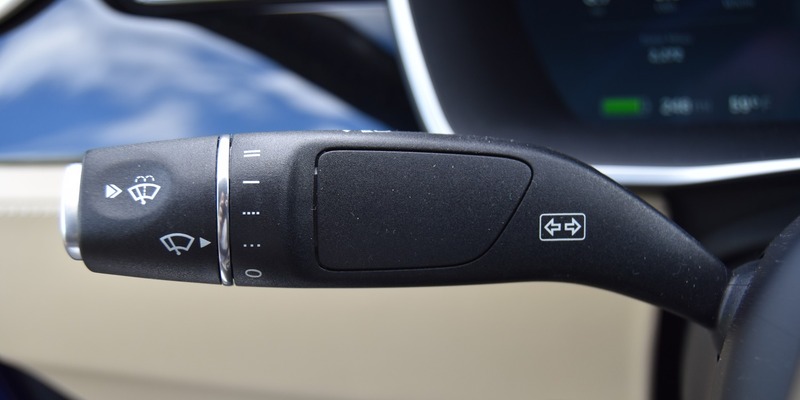 None of these are deal-breakers, but if you’re driving a friend’s Tesla, or you don’t read the owner’s manual, you may think “why can’t I do…” Really, you probably can, but you just don’t yet know the secret handshake. In short, unlike a normal car, my Tesla’s usability will decline quite a bit if the manufacturer goes out of business. And given the cost of the car, this is probably my biggest concern: If there’s no Tesla company, I’ve got a car that works but is nowhere near what it is with Tesla the company still in business.